$250. 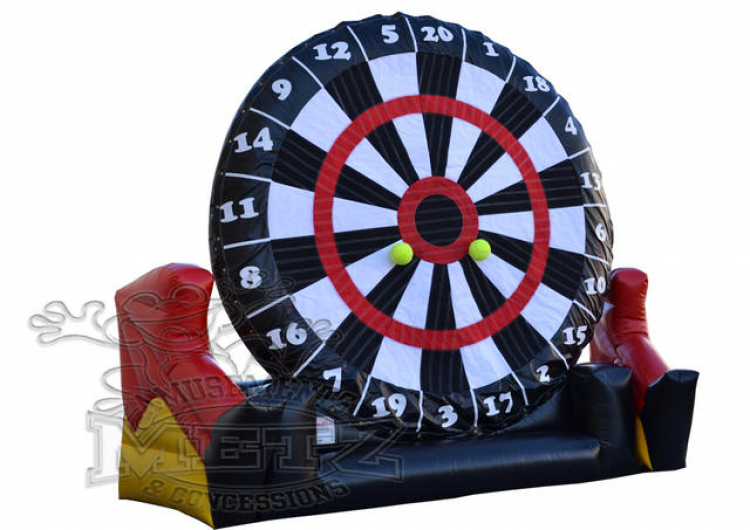 This 15' x 10' x 20' high inflatable soccer dart game includes 2 soccer balls and 1 1hp blower. Can be picked up by customer. Please see customer pick up policy.